Many Avast users have protected their family member’s computers and mobile devices with Avast Antivirus products. In order to help you manage everyone’s security, our development team created a portal called the MyAvast Account. Our blog, Keep track of your family’s devices using your Avast Account, explains the basics. Hopefully, you have already looked at your account. If not, click here to do so, https://my.avast.com. Now I’ll point out some important features that you will find useful. 1. The whole point of the MyAvast Account is to manage multiple devices from a single portal. If you have registered Avast products on multiple devices using multiple email addresses, you can pair these devices and email addresses to your account which lets you see all licenses in one place. You'll see the license validity and expiration date for each device. If you get a new device this CyberMonday and want to remove an old one, then you can easily remove the old device from the account. Go to the Device overview page, choose Settings, and delete from the account. 2. For all you Android smartphone users out there, the most important feature is our Avast Anti-Theft mobile security application. We improved the design, and also completely revised and simplified the commands. To see what I am describing, log into your account > Go to Devices > Click on your smart phone. In this screen you can see the most important commands that allow you to control your device. With one click you can locate your device, mark your device as lost, inform us and send notifications to your "safe" friend, transfer all calls and SMS to a new number, turn the siren on a lost device, or lock the device remotely. If you have Avast Mobile Premium, then you will have additional commands at your disposal. If you suspect your phone has been stolen, you can take a picture of the thief or record audio in addition to other cool options. 3. Avast Awards is a redesigned and interactive system where you earn free Avast products by recommending Avast to your friends. For sharing Avast using your own personalized link, carrying out certain tasks, and using our products you will be rewarded Karma points and Badges. For now, you can obtain a license for Avast Internet Security and badges for participating in our community or being a long-term Avast user. In the future, we may offer other premium products, so check back every once in a while. 4. Stay informed with our News widget (on the main account page on the bottom right), where you will see news from our blog and Facebook feed. This provides a great overview of security and privacy news. We invite you to follow and Friend us. 5. For those of you who like nice design, you will appreciate the updated Metro style of the portal, and your choice of themes. Visit Settings (the gear icon in the top right corner) and apply the one you like best. Social Media Security is an additional feature that is in beta now. We wrote about it this past summer in the blog, New avast! Account with Facebook Security is here. Join Beta testing. This feature helps you identify Facebook posts and photos that pose a threat to your privacy, security, and reputation. 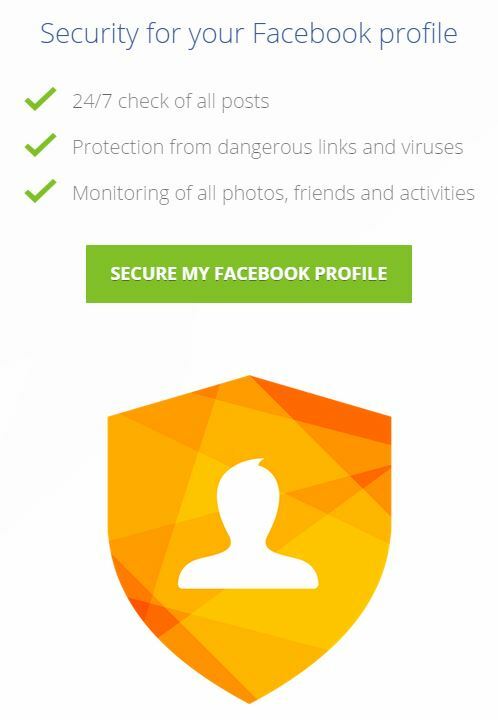 In addition to your own Facebook profile, we also monitor your friends network to keep you safe and secure. Our developers and product managers will continue to work on improvements to the MyAvast Account. If you have any questions, comments, or suggestions, do not hesitate to participate in the dedicated Avast forum board. We look forward to your feedback!